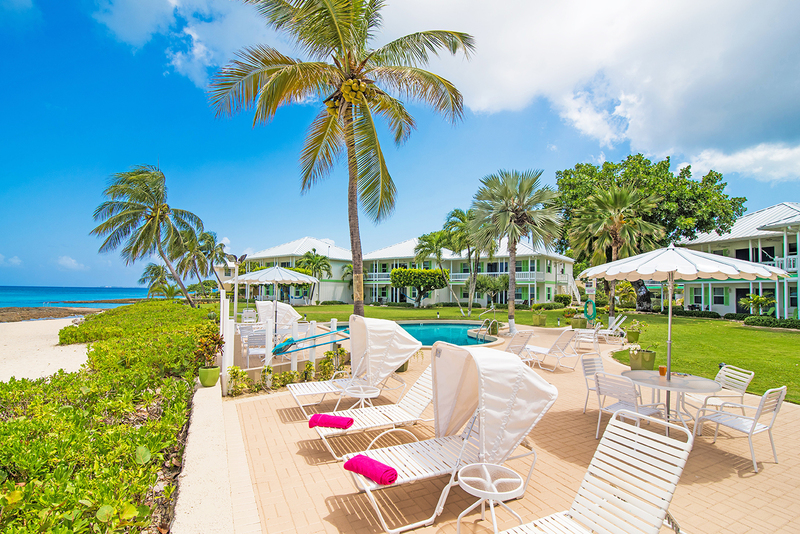 Cocoplum #1 is Directly Oceanfront on Seven Mile Beach. 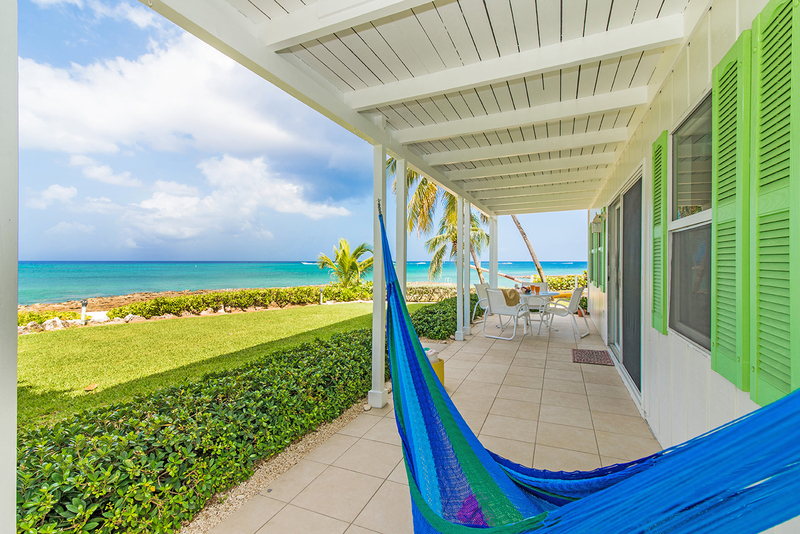 Tranquil & Serene, Presenting Awesome Caribbean Views. January 2019 Update - Beautiful Interior Rennovations Complete! Photos coming in February! 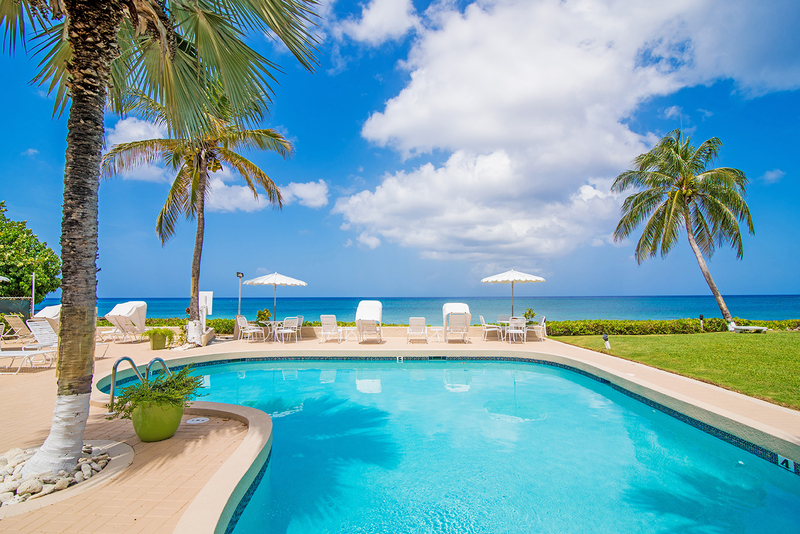 The perfect places for a vacation get away!!! 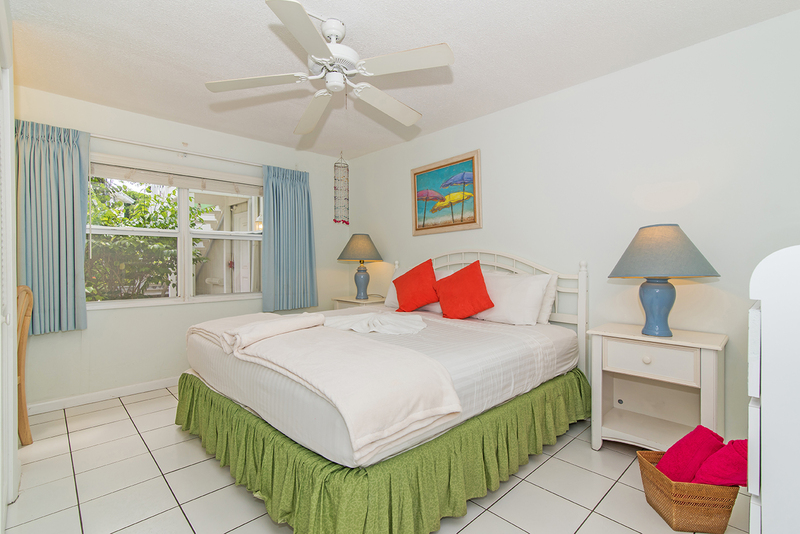 Welcome to our piece of paradise…THE COCOPLUM. 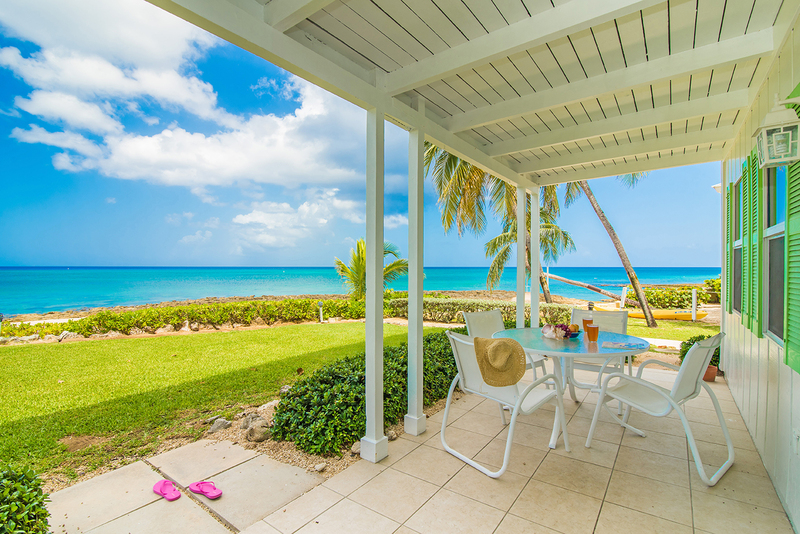 Enjoy the look and feel of a Caribbean family villa with privacy and plenty of open space. 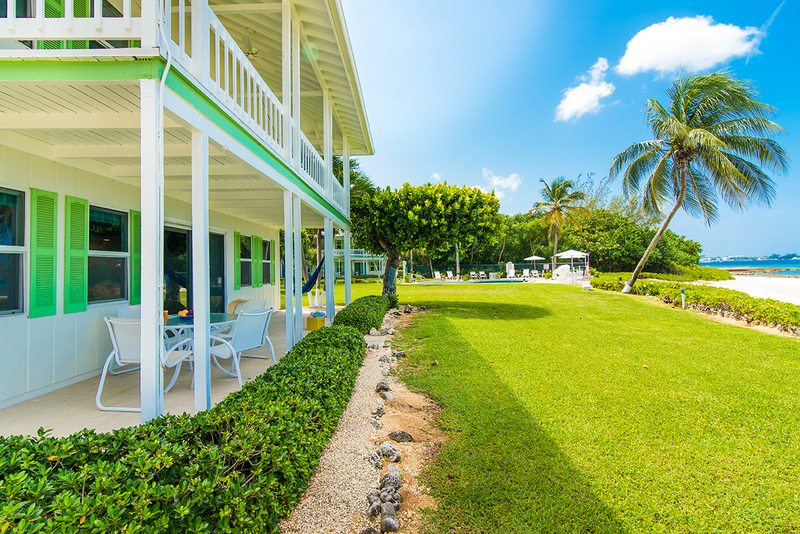 Whether you are considering a place for a family reunion, a small group of friends, or just a peaceful getaway, Cocoplum is your perfect island escape. 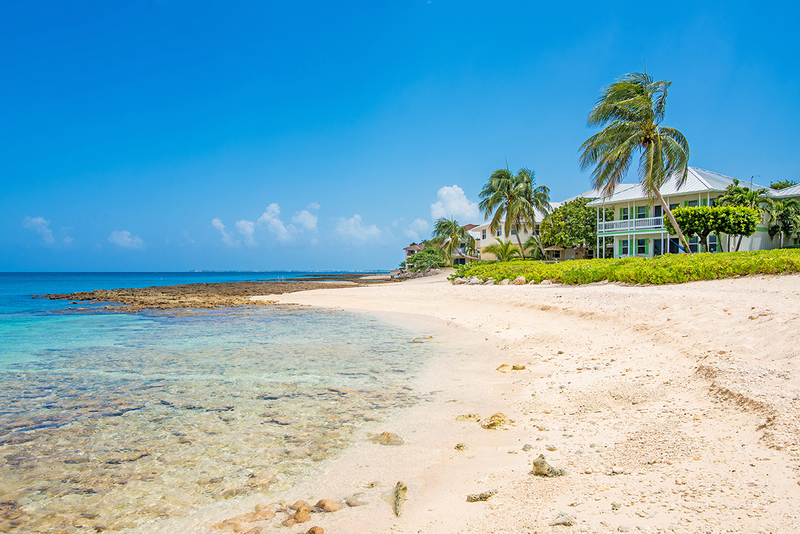 Your beach is never crowded and great snorkeling, among other activities, beckons you just outside your door. 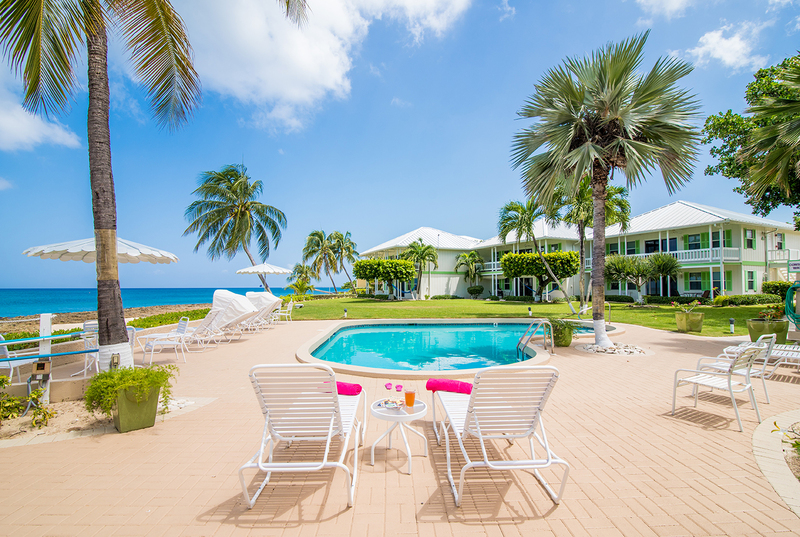 Cocoplum is a one-of-a-kind experience that you cannot get from big resorts and large hotels. 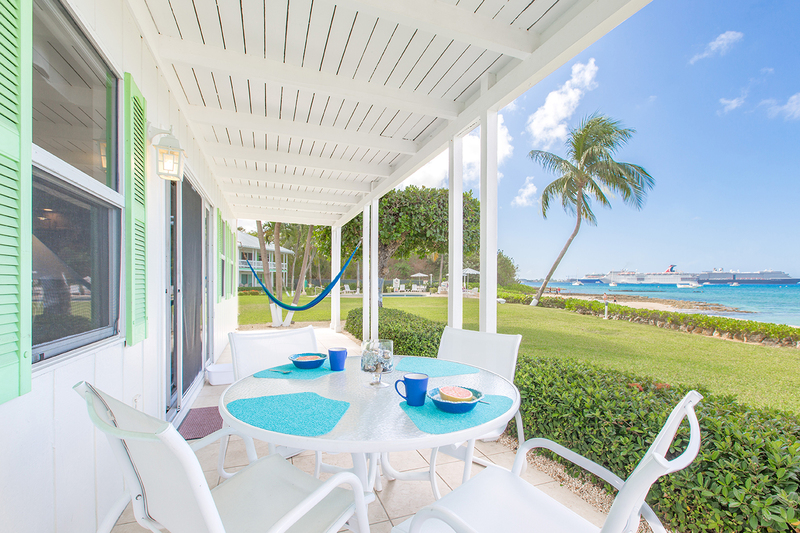 Enjoy the Cayman sunsets and island breezes from your own porch, the living room, or from our heart shaped pool. 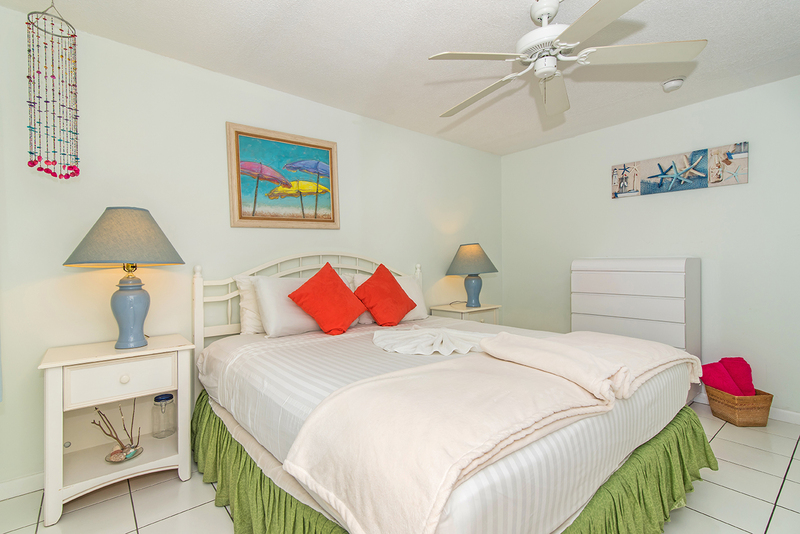 Our unit is on the ground floor and is the closest condo to the water on Seven Mile Beach. 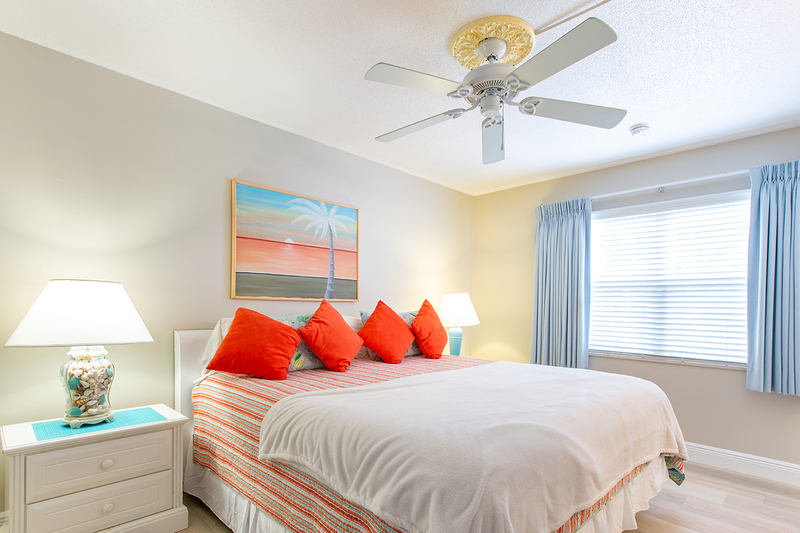 The unit offers two bedrooms and two full bathrooms. 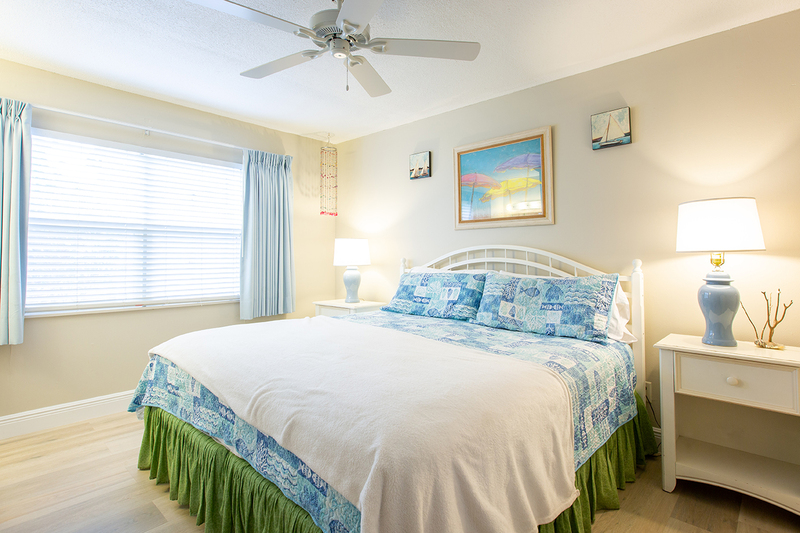 Both beds are King size, and the condo can sleep up to 4 adults. 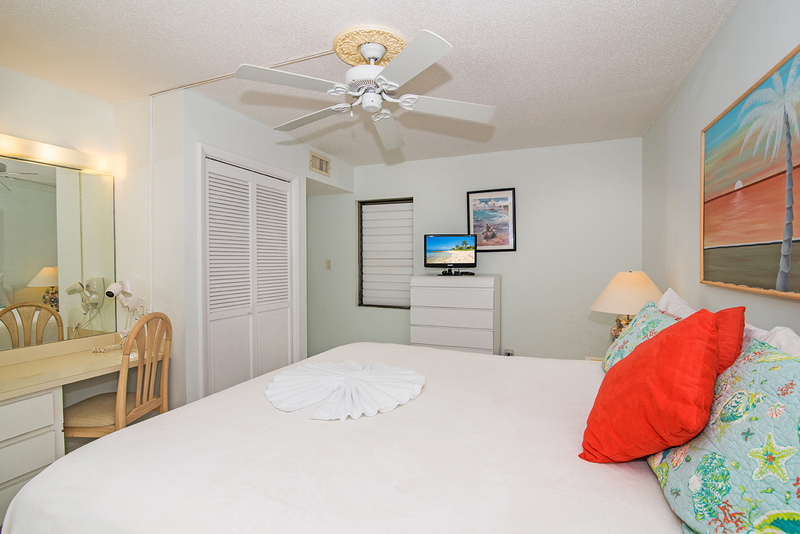 Each bedroom is equipped with flat panel HDTV's with Netflix. 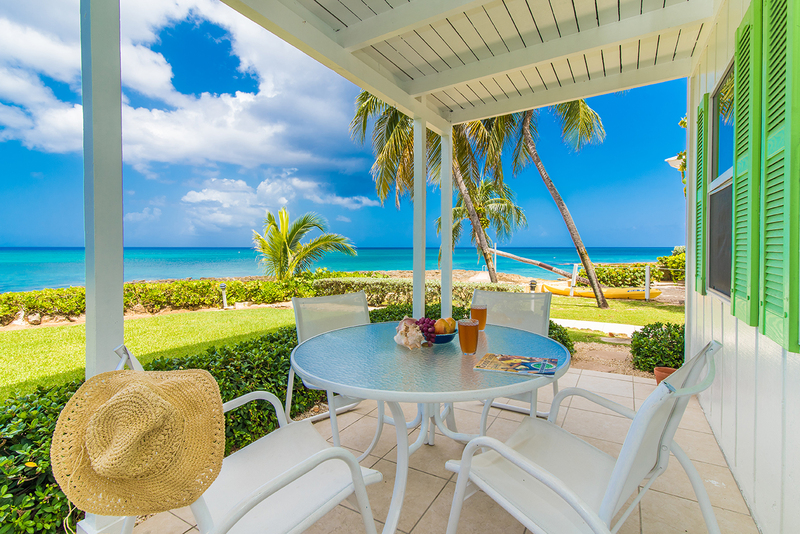 There is a fully equipped kitchen perfect for nice homemade Caribbean meals. 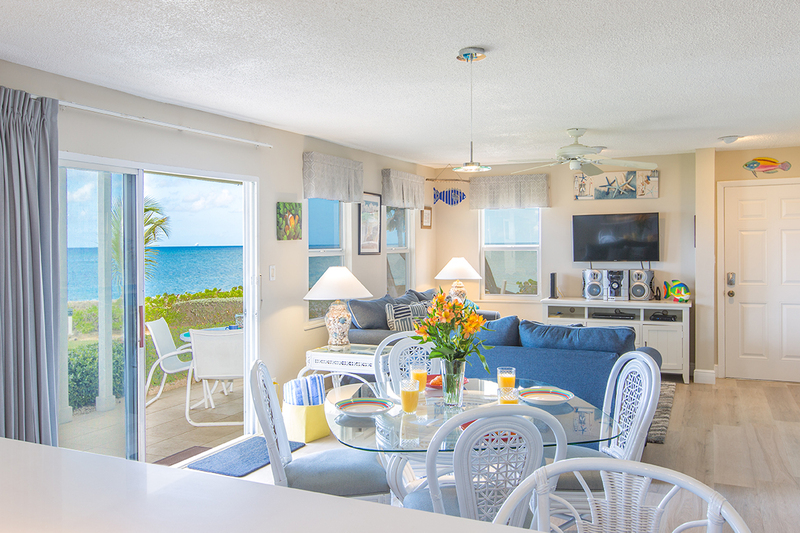 The condo’s airy Caribbean décor is the perfect place to relax. The turquoise water is always about 80 degrees with lots of little tide pools and shells, for the picking, on the beach. We have our very own shipwreck just a short swim in front where lots of beautiful tropical fish play. 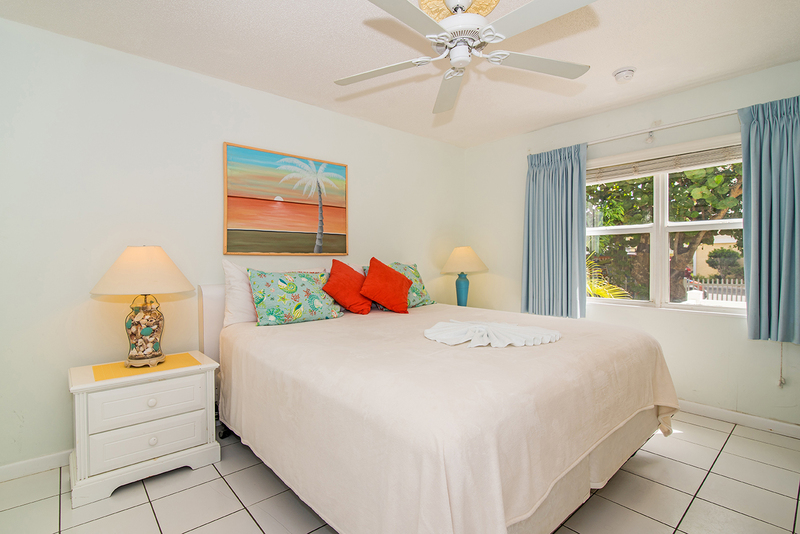 The quite peaceful setting is away from main traffic but walking distance to shops, restaurants, and the supermarket. Perfect for kids. 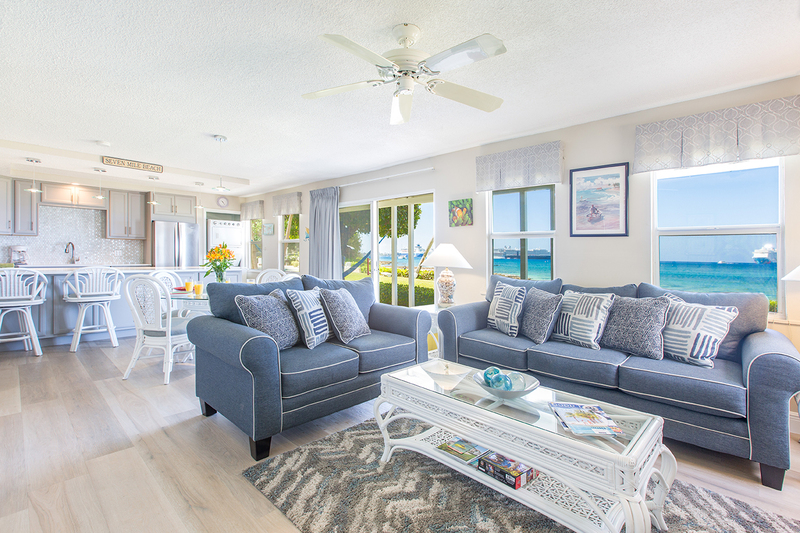 A 13% government tax applies to the rental rate, and is calculated and added to your reservation when you book on-line or call to make reservations. We loved Cocoplum. Terrific location small beach right out front with great snorkeling. Walkable to many shops, bars, restaurants. 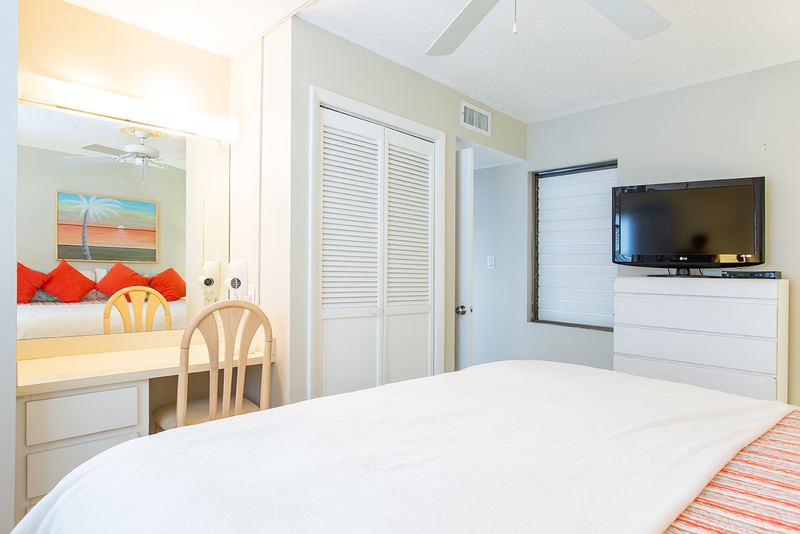 Condo is clean, comfortable and relaxing. Perfect for families or couples. Complex is fairly quiet but still close to amenities. Would love to stay again. 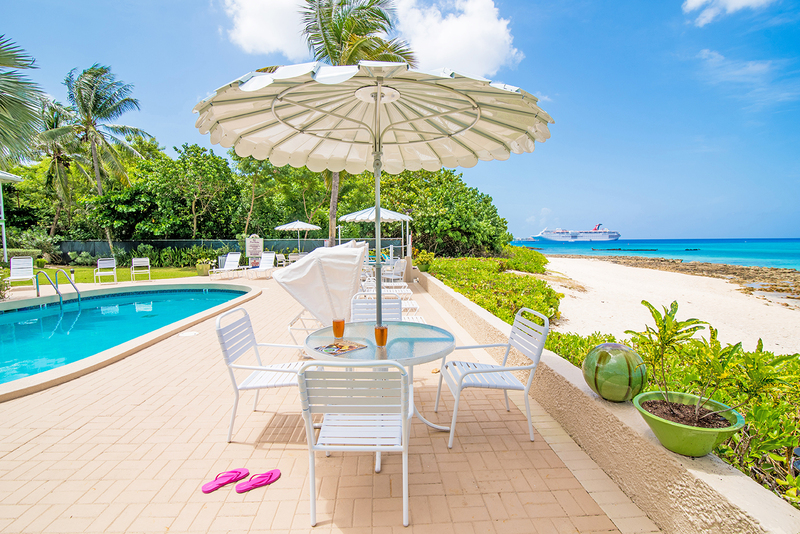 Another fantastic stay at Grand Cayman and Cocoplum#1. 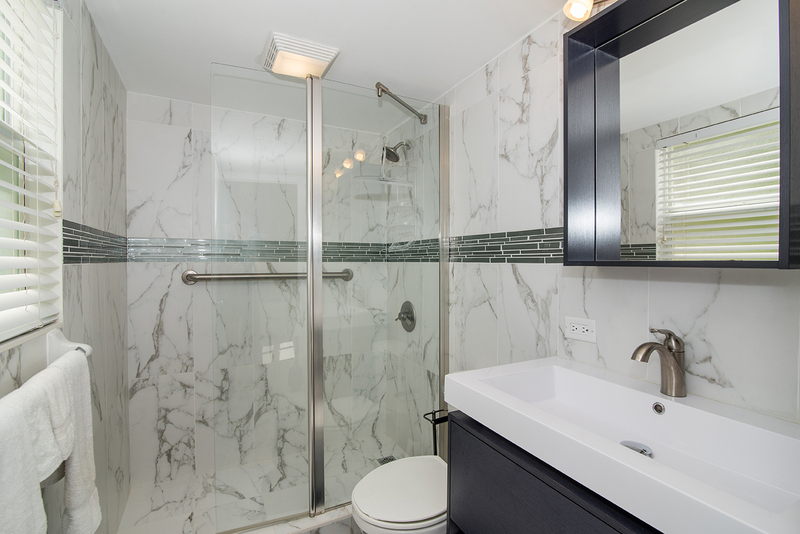 Howard (the owner) did a great job on the updates to the bathrooms, floors and the kitchen. Really brightened the rooms!! Removing the storage area in the kitchen really opened up the view so you could look out the windows and see the cruise ships come in. 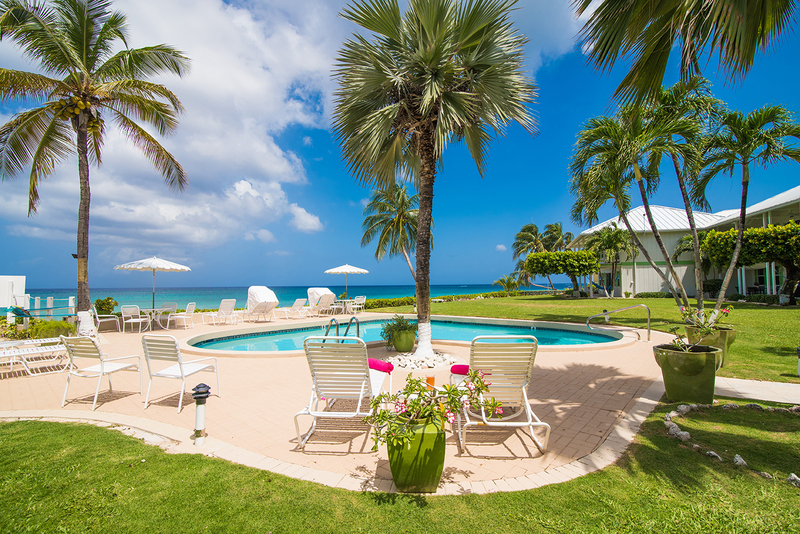 The grounds and pool are very well kept. They just finished painting the pool area which really spruced up that area. Howard is a great owner to deal with and will answer any questions you have and will make you feel right at home. We actually feel like that when we stay. Have been to many places on vacation but can only say that for CocoPlum!!! Most relaxing place we have ever been too. Just make a cocktail, grab some chips and watch the sunsets!!!! Kirk Market and Black Beards beer/liquor stores are close by to get all your food and beverage needs. For those that are thinking of staying here you won’t be disappointed. 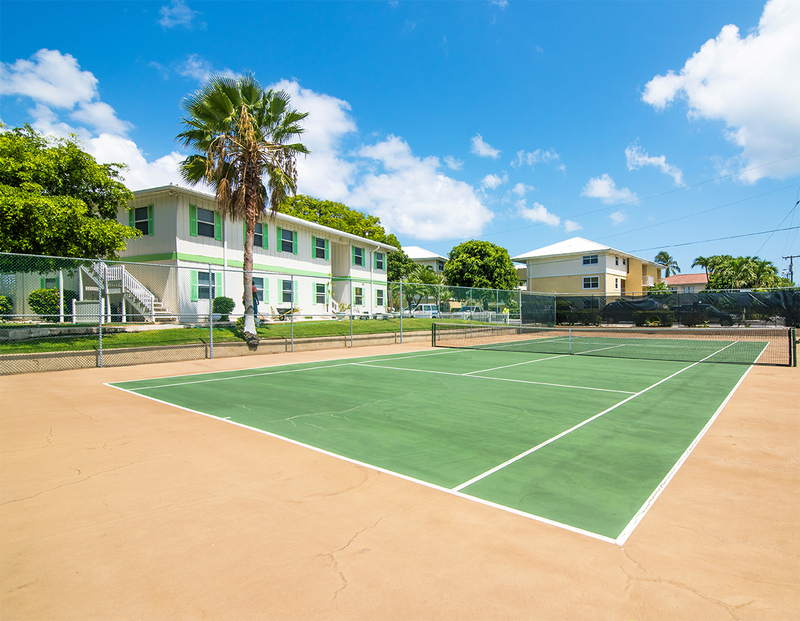 Close enough to George Town and Seven Mile beach that you can walk to both but far enough that you are not in the hustle. The beach is very quiet, pretty much all to yourself along with the pool(buy rubber beach shoes!!! Iron Shore!!) Very private complex, about half of the people live there year round so you don’t get the high turnover party type crowd. The Wreck of the Gamma is about 150 yards out and great place to snorkel. Rent a car to explore the other parts of the island or you can bus it around pretty easily. The other posts have great suggestions about where to go and to eat. I would recommend going to the Cracked Conch during the day for lunch, really nice place right on the ocean. Looking forward to staying again!! Had a great vacation! 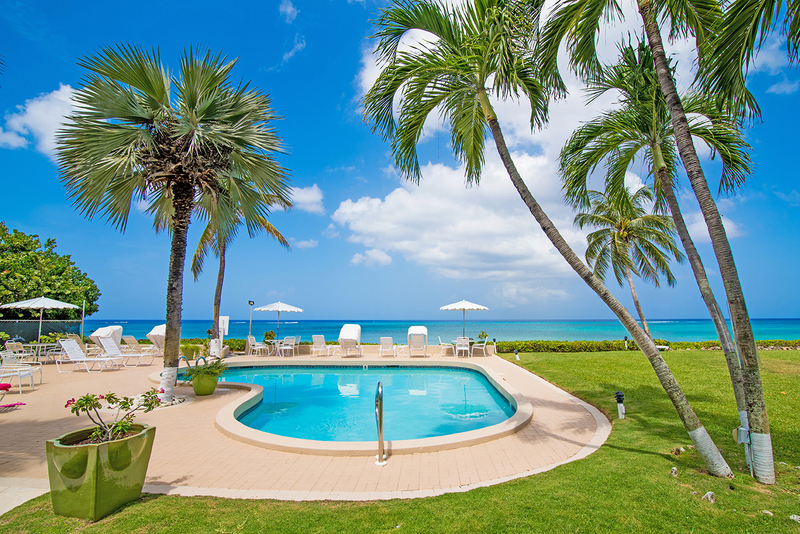 The Cocoplum #1 proeprty was well maintained and the lady in charge of "fixing" things arrived promptly and eliminated the one small problem we did have. We have booked a return visit for next year already. Everything was as advertised, so experienced no let down on our visit. Mr. Gershuny was very helpful with all the material he provied to answer our questions. I highly recommend this venue for a vacation. Third time's a charm! 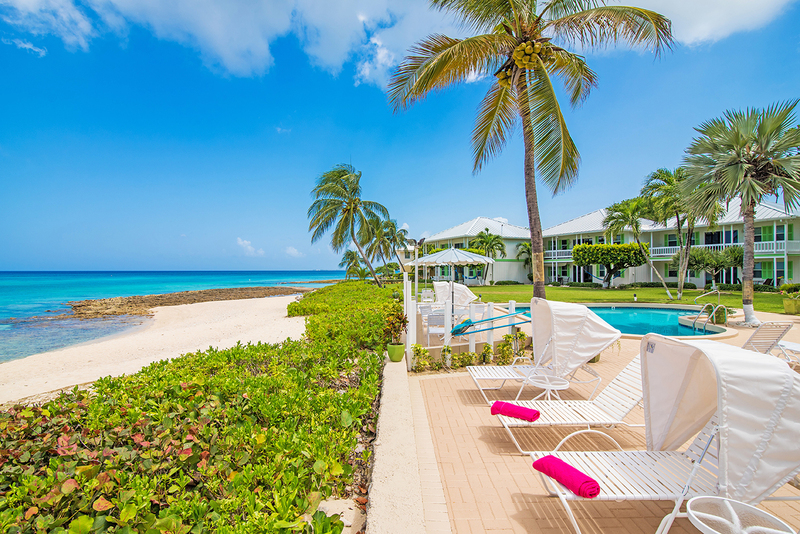 Just returned home and ready to go back to Cayman! This is our 3rd stay at Cocoplum #1. It was wonderful entering the door and feeling that comfort zone right away. 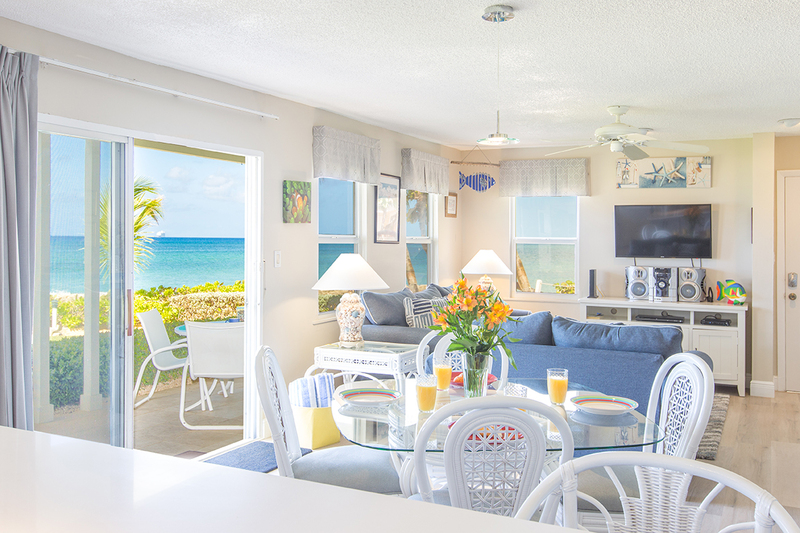 This condo is, for us, the perfect location for exploring this beautiful island. 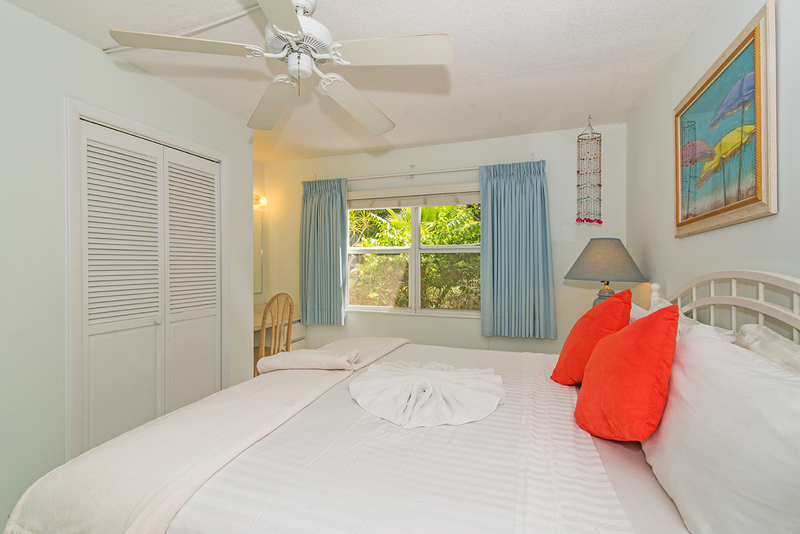 It's great for 4 people, quiet, comfortable and affordable while still being close to the main part of 7 Mile Beach. We love Cocoplum #1!!! We will be back! This was our 3rd stay at Howard\'s condo, great relaxing view from the patio. Pool area was expanded which was nice. Howard bought a couple of fun noodles which makes going in the sea pool enjoyable,, just sit around. The condo is spacious, clean, and cool. We hope to get back next year. All of the neighbors and guests we met were very nice, cocktails at the pool. Ideal location. Cute plantation style buildings right on the beach. Close to shops, restaurants and groceries. Short drive to town and water activities. 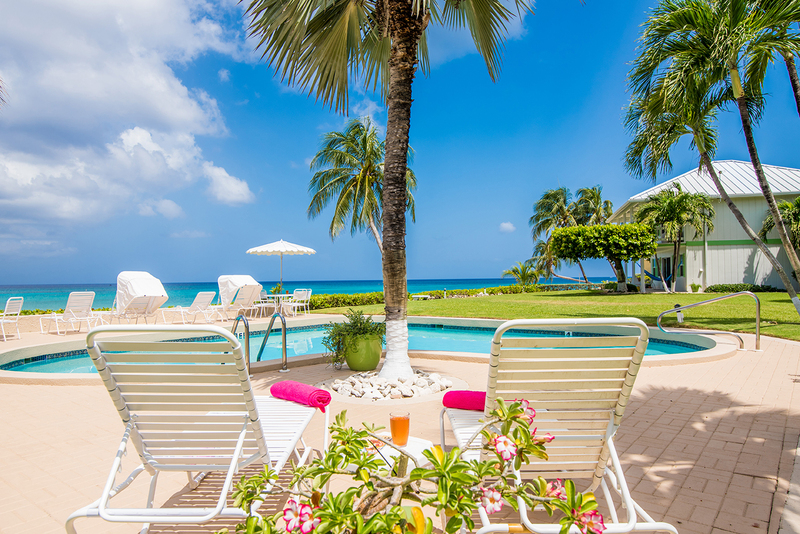 Enjoyed the peacefulness of this property, away from all the hustle and bustle of the resorts at Seven Mile Beach but not to far away from shopping, restaurants and water sports. 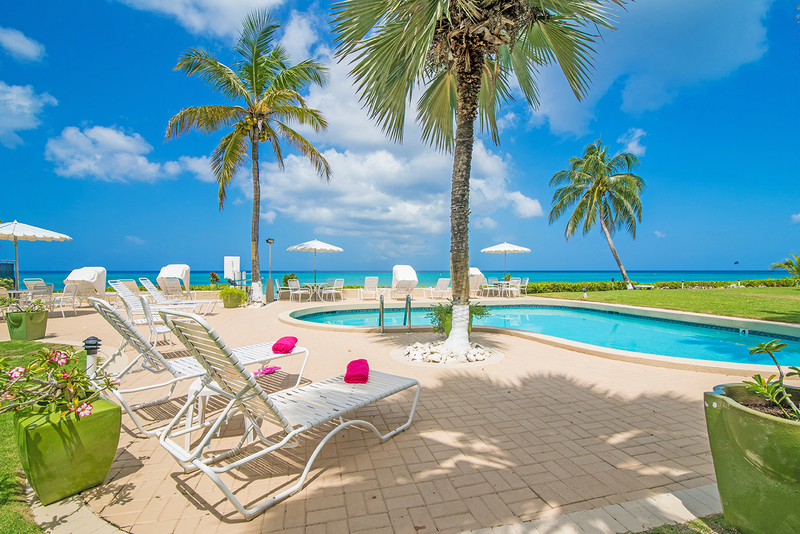 No need to fight for a chair at this pool and beach towels are ready at the condo for you to use. We really enjoyed just getting into the water right outside the door and snorkeling!! Thanks for an amazing stay!! 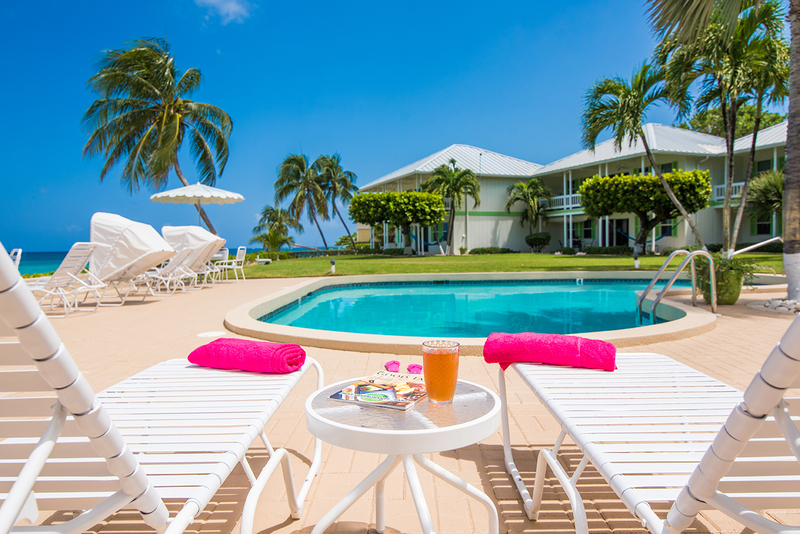 We will definitely be back to Cocoplum One again. 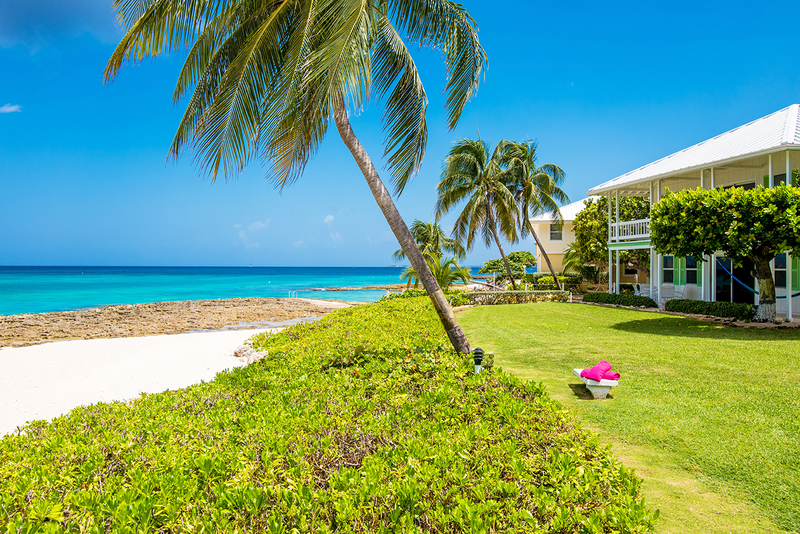 This was our 5th visit to Cayman and we wouldn't stay anywhere else but Cocoplum. It might be a little rocky to get out in the water but its away from the crowds on seven mile, tucked away in a quiet spot off the beaten path but close enough to everything you need. 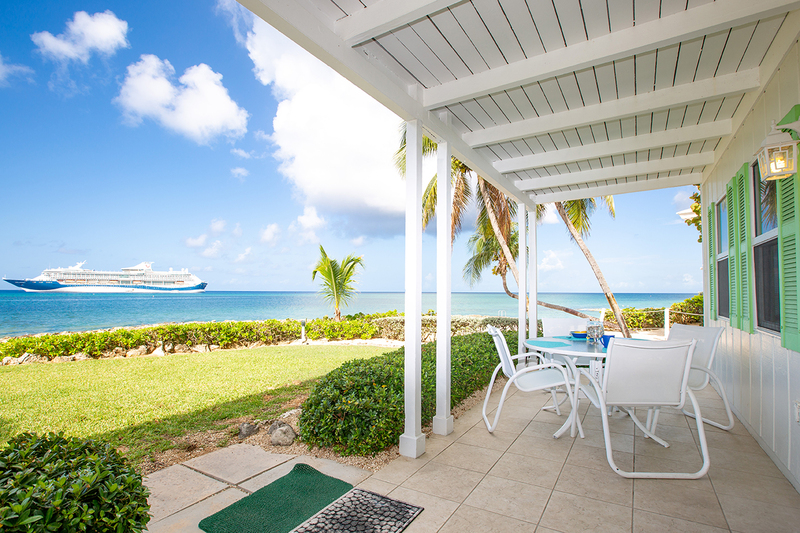 Wake up every morning to a beautiful unobstructed water view. 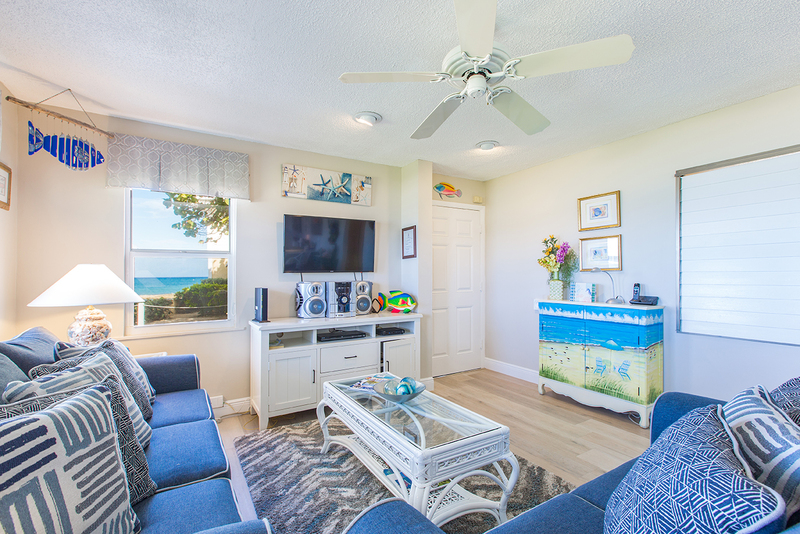 Steps away to snorkeling, swimming, paddle boards delivered to the door. 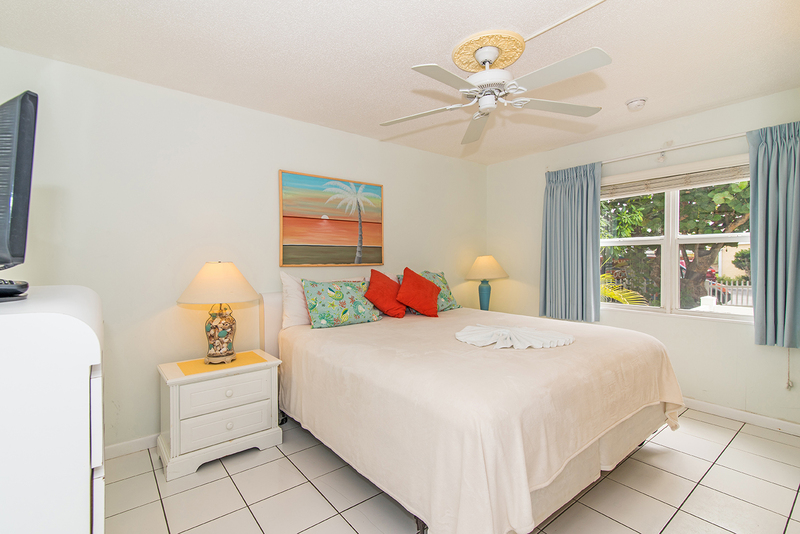 Walking distance to the stores & restaurants. Can't beat it for the price. The property was referred to us by a couple that live in my area, and that have rented this condo on several occasions with excellent results. The website had many pictures of the property and the reality was exactly as shown. When we had a few questions, Howard's representatives (Pam and Paula) came immediately and provided answers in a courteous and professional manner. 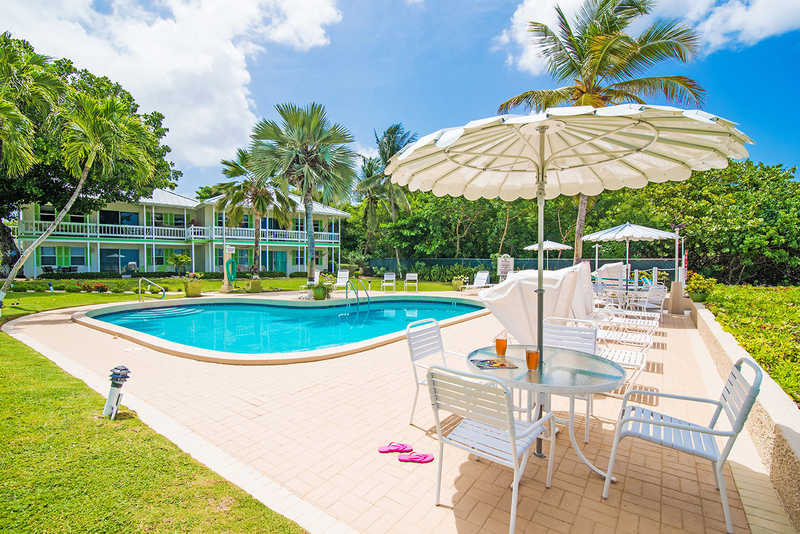 The grounds around Cocoplum are well maintained, as it seemed that staff were there every day to service the pool and maintain the grass and shrubbery. The weather was absolutely perfect day, not a bit of rain the whole time. We did not rent a car as I did not want to attempt to drive on the "other" side of the road, especially as there were many roundabouts with 2 lanes of traffic each way. This did not pose a problem as the condo is located within easy walking distance of grocery stores, restaurants, pharmacies etc. All in all, we had a perfect vacation and will probably book the condo again next winter. This is a great location and great condo!!! 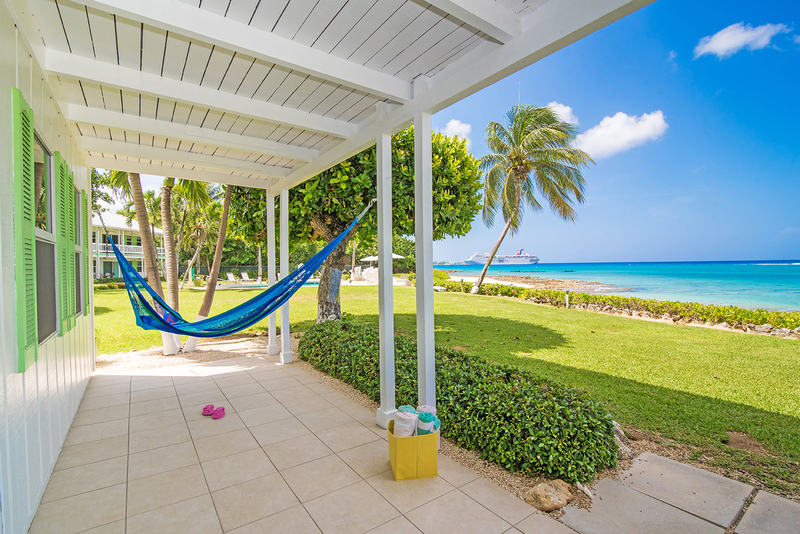 There is no other location like this; just steps from the beach and some fantastic snorkeling. The condo is very nice and quiet; our family had a great time. Just what you need...and a view of Paul Allen's yacht, too! Four adults stayed here over New Year's. We appreciated the safety and cleanliness of the unit. 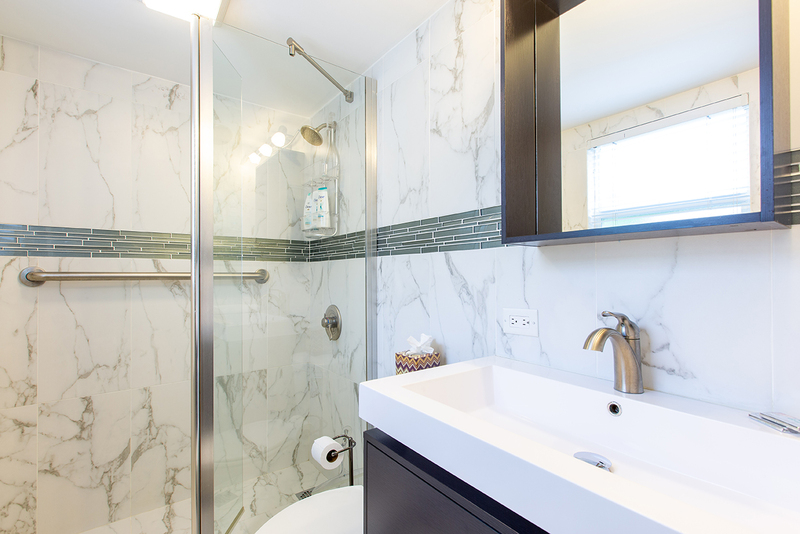 Both bathrooms had been renovated and the water pressure was great. There were enough towels, both bath and beach, for all of us. We took advantage of having a washer/dryer, too (and there was detergent). There's a dock with a ladder for entering the ocean, if you want to avoid the rocky shore right in front. And even though we did rent a car (there's an assigned parking space), the condo is walking distance to a number of restaurants. We had to call the property manager Pam a couple of times, and she was great as well. The only "downside" is that it's first floor so there are people constantly walking by or going through the patio on their way to/from the beach or pool, so you'll get used to waving to strangers from inside. But everyone is very friendly and it's what helps lends itself to the feeling of security. I loved waking up to the sound and sight of the ocean every day. Lounging in the hammock reading was fantastic. The kitchen was stocked nicely making it easy to eat in or dine out. The neighbors ( mostly owners ) were very nice. We loved it because we could snorkel off shore. Off the wall divers were close by and picked us up for our dives every day. We would definitely stay here again. If I had to say anything negative about the site it would be the daily appearance of cruise ships in the distance. However, I would rather stay at a secluded site with cruise ships in my view than on a crowded 7 mile beach site packed with tourists. I highly recommend this condo. Second time staying at Cocoplum #1, just sat great as the first. See "just relax" review. Stayed for 2 weeks and had a great time. Like I said before bring rubber soled beach shoes and rent a car. 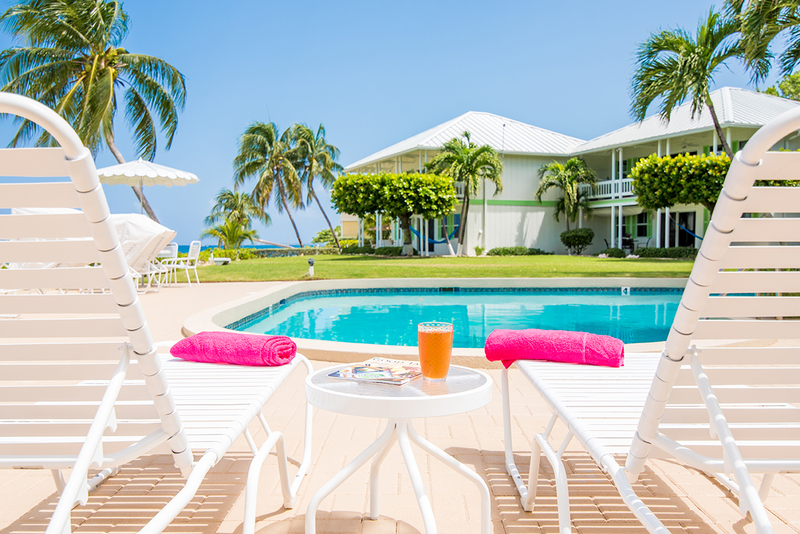 You will really appreciate the island more and have your freedom to go wherever you want. Cabs are all over so you can uses those also but you don't have the luxury of throwing your beach bag cooler and chairs in the back and just going wherever. Snorkeling is 30 feet away and a shipwreck is just a 100 yards out. Great place to stay and quite complex. A lot of the people there live and work on the island so you don't get the big loud party seen. This was our 3rd vacation in Cocoplum Number One for 5 glorious weeks. In our opinion it does not get any better than this. 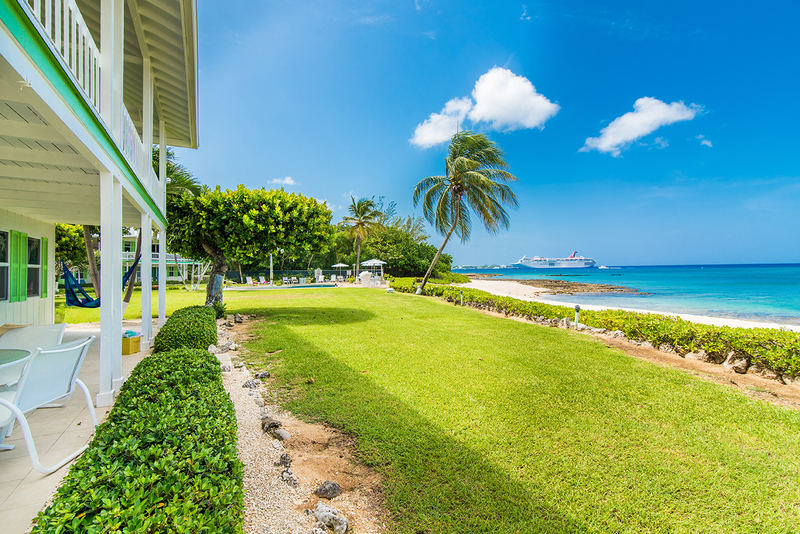 The sea is only steps away from your door. 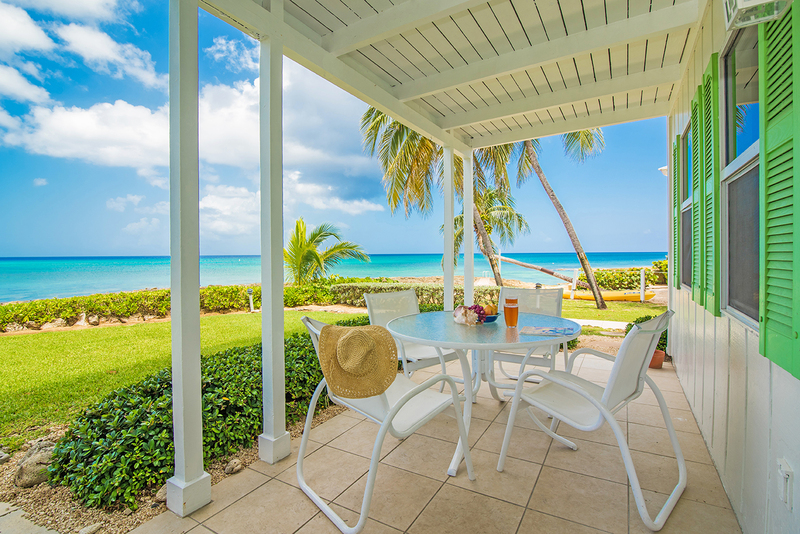 The view from the patio is amazing. Although the sand is a bit rocky you just have to wear beach shoes. Snorkeling is great with the wreck of the Gamma just off shore. The complex is very quiet. We were the only ones around most of the time and had the pool to ourselves. T he most amazing thing we witnessed right on our beach was the release of endangered loggerhead turtles that hatched earlier in the day. It was wonderful to see these little turtles scramble toward the sea on their long journey. We can't wait to return again. If you are looking for a beautiful location, close to amenities with peace and quiet, this is the perfect place. The owner is wonderful and helpful. 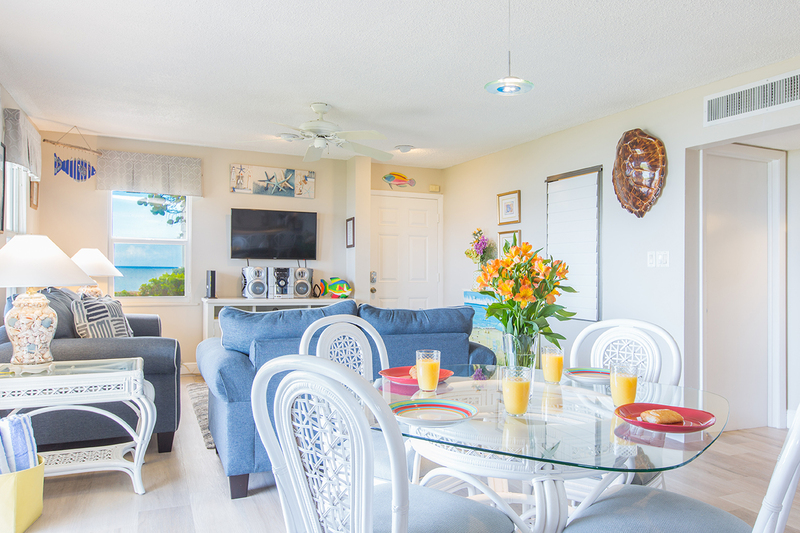 The condo is very nicely decorated with an island feel and very spacious. We were thrilled with our stay, and will certainly return in the future. Great place to stay. Howard the owner answered any question we had and was easy to work with, couldn't ask for a better guy. Condo was as close to the beach you can get. The condo was nice and clean not a 5 star Ritz, but nice and comfortable. 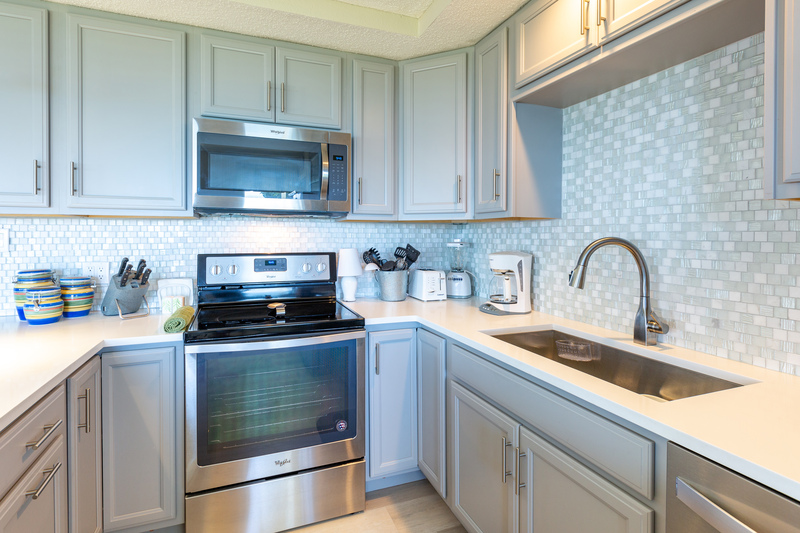 It has all the amenities you need, silverware, pots and pans, glasses etc. Most relaxing vacation ever. Just sit and watch the sunset and the cruise ships with a cocktail and some chips and that’s all you need!! Beach was the Iron Shore, Not your typical smooth sand beach like Florida. Bring or buy beach shoes with the rubber soles. Snorkeling was great. Ship wreak about 100 yards away, easy to get to. Supermarket (kirks) about 1/2 mile away and plenty of restaurants around. Seven Mile beach is about a 15 minute beach walk going north. That is where you will find the smooth sand. Rent a car, and explore the island. Go to the Cracked Conch good lunch and right on the water were they scuba dive. Also go to Pappagallos. Great Italian food. Also hit Sting Ray City, either by jet ski or boat. 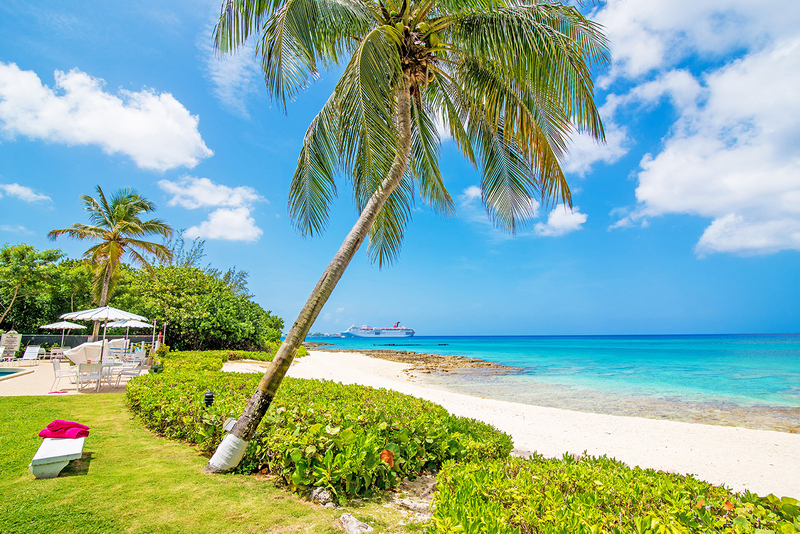 Find how to get there from one of the tour books, also Rum point nice beach. Then go to Tukka's for lunch also a great place. All in all Great condo, great location and great owner. Our 2 weeks went quickly. The condo was comfortable, fully stocked and a stones throw from the sea. No walking beach, lots of iron shore. But went to other beaches that were beautiful white sand. Walked to Fidel Murphy's Irish pub. Good fish dinners and cottage pie.enjoyed sitting on the patio and watching the cruise ships come in and out. The pool was on the small side but not many used it. Perfect. A nice quiet condo complex. The owner Howard was so easy to work with, nicest man ever to talk to, like a good friend. The condo was perfect for 4 adults we all had space enough to hang out. The bed was so comfy as were the pillows. This condo has everything we needed. The best part is the patio,overlooking the ocean, it was neat to see cruise ships up close. The wreck of the Gamma is right there also, great snorkeling spot, always people around. The pool is nice as is a sea pool we went into. Nice clean bottom. 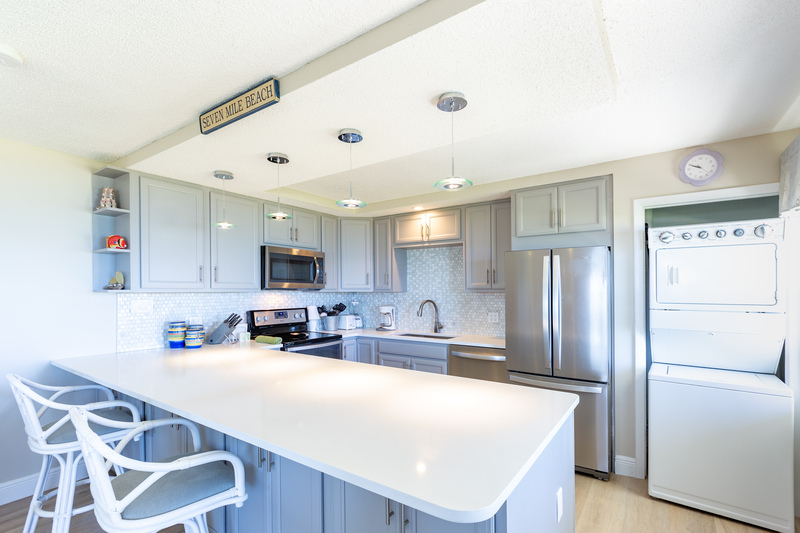 The condo is walking distance to lots,The Wharf, a liquor store and grocery store. His on island contact person is great to work with, we needed paper products and she delivered the next morning. I could have sat on the patio from sunrise to sunset. Thank you for sharing Howard. This will be our place to stay when we visit again. — Paul and Angie D.
We stayed at this condo in February 2014. 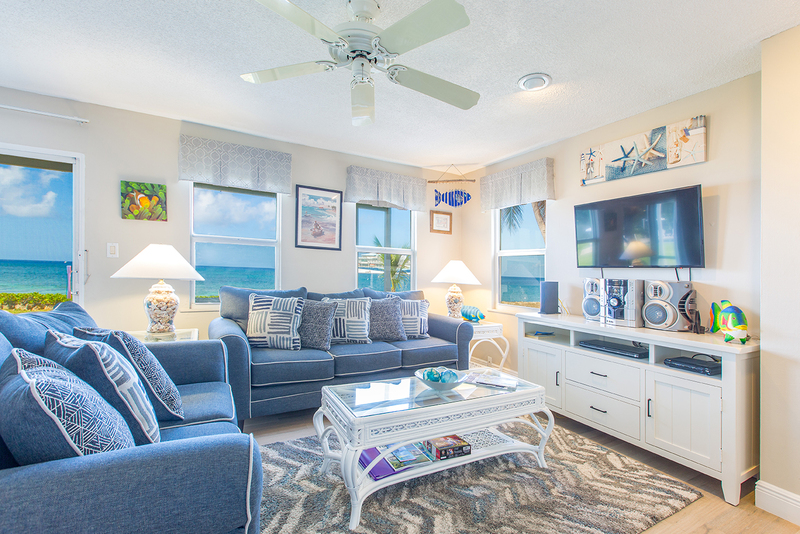 The condo was perfect for two couples. The kitchen was well stocked and the washer and dryer was a nice bonus. 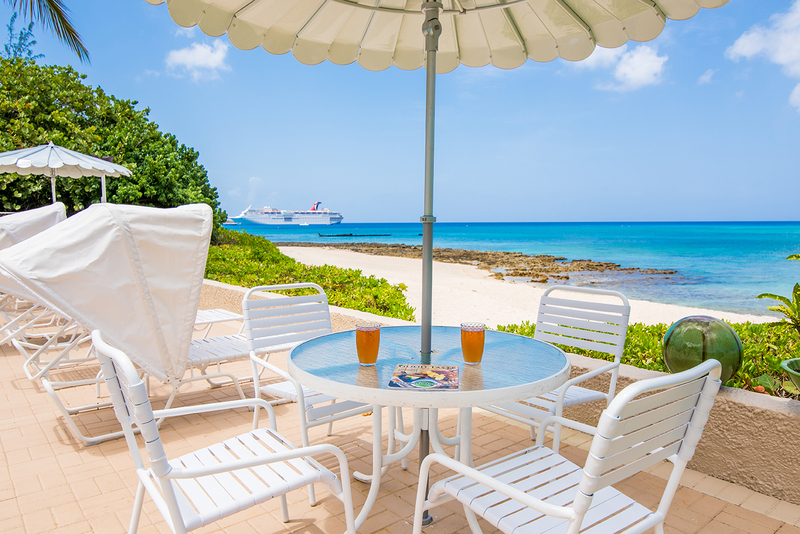 The views from the patio truly can't be beat anywhere. We spent nearly every evening enjoying the sunset from this ideal spot. The pool was quiet and felt as though we were the only ones using it most days. Like most of the other reviews stated, the shore line is very rocky where it meets the water. There is some sand between the rocks and condo property, but it is coarse. 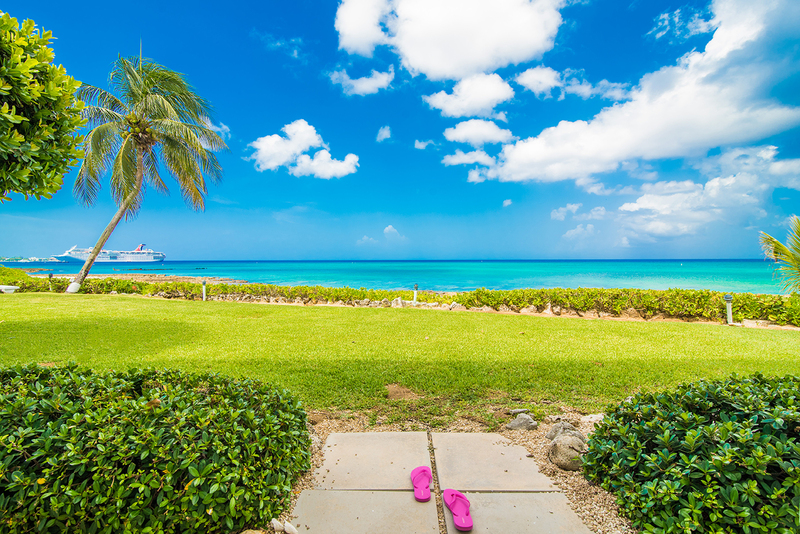 The sandy white beaches are a short walk to the north so remember your water shoes. The snorkeling was amazing as a shipwreck is so close. The condo is in walking distance to some nice restaurants and the grocery. Thanks for the condo rental! Looking forward to returning soon! Excellent location, right on the ocean. 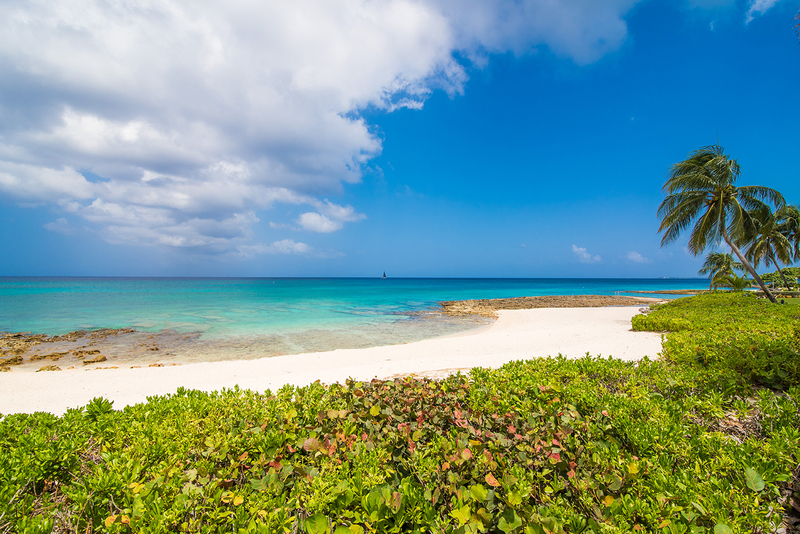 Quiet, peaceful, and great snorkeling only steps away. The condo was clean and well equipped. It's within walking distance of a supermarket, liquor store, and restaurants. The owner and property manager were very easy to work with. Overall, a great value for the money. 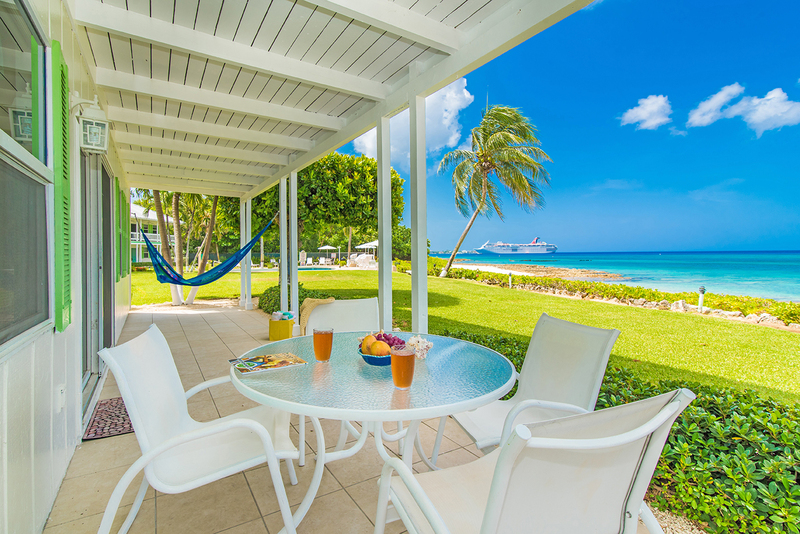 Fantastic Grand Cayman Vacation Spot!! Our 10 night stay at this condo was fantastic! The condo was clean and comfortable and plenty big enough for the 2 of us! The view was absolutely breathtaking especially the sunsets each night! This place is certainly about location!! Short walk to grocery store and Georgetown as well as main restaurants and beaches. Bus stop across the street, fitness center nearby. 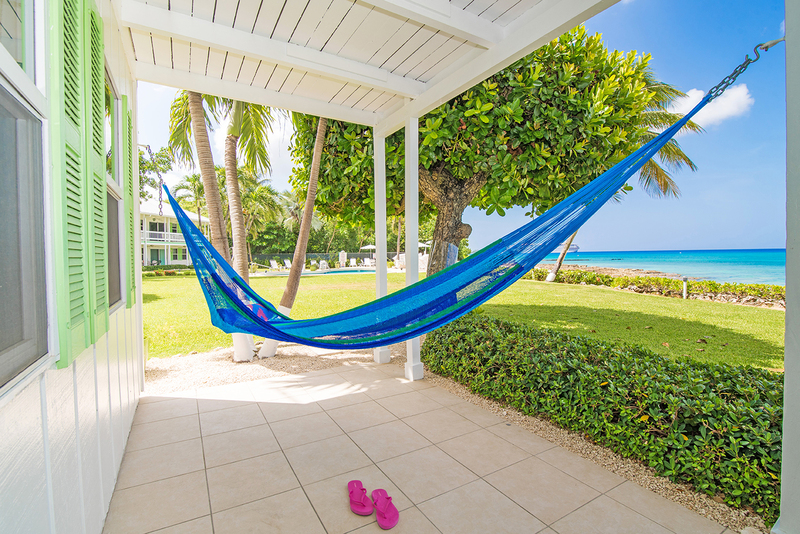 We definitely would stay here again, very quiet and if you want more activity just walk down 7 mile beach to where there is more action!! The owner even called during our stay to make sure all was good!! Thanks for a very memorable 2nd trip to GCayman!! FABULOUS WEEK AT COCOPLUM NUMBER 1!!! 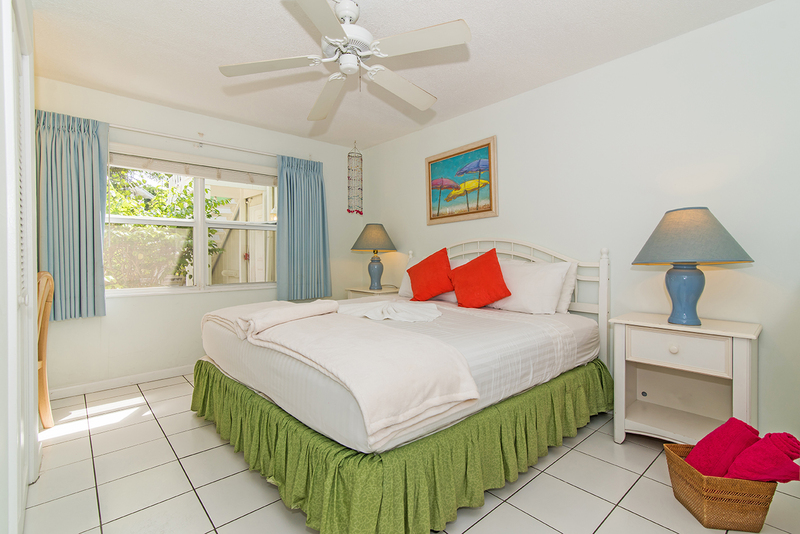 We really enjoyed our stay on Grand Cayman and the rental unit was ideal for 2 couples. 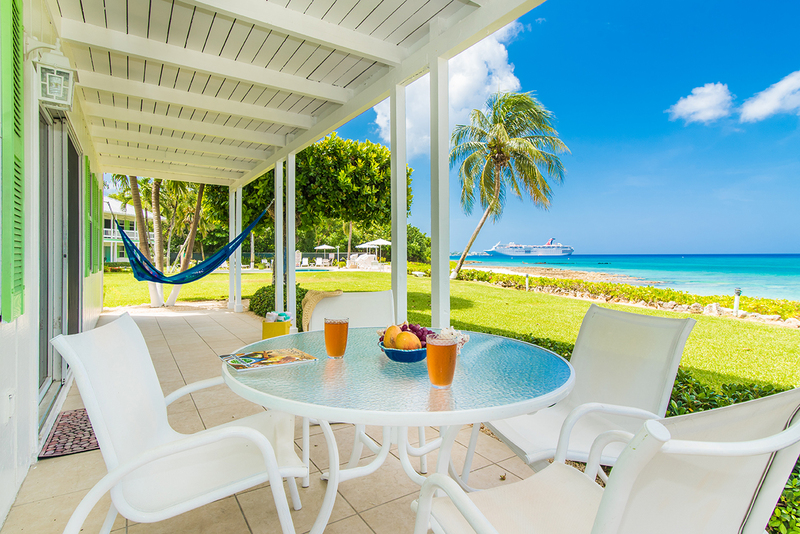 The location is perfect for a quiet stay away from the crowds but still close by if you want to go to other beaches. Watching the cruise ships come and go was entertaining. The description of the place and pictures are accurate and we didn't lack anything. If we had any issues/problems that needed to be taken care of they were prompt in responding. We had great diving and snokeling experiences - the water is so gorgeous and warm it can't be beat. Definitely recommend going to Stingray City and taking a drive around the island to Rum Point to see the other side of the island. This was our 21st trip to Grand Cayman in 21 years. 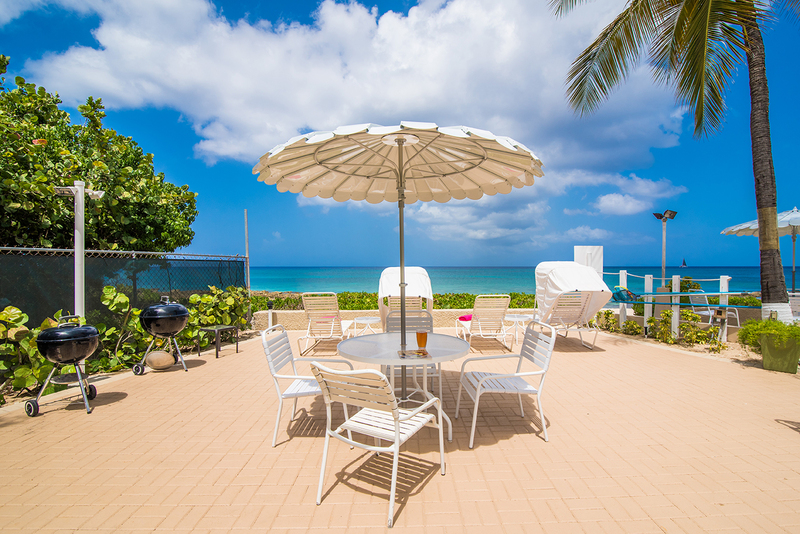 This was our 12th visit to the Cocoplum condo complex and our first time in Cocoplum Number One. This was our best trip ever!! The owner called us weekly to make sure everything was going smoothly and to make any recommendations on restaurants etc. and we really appreciated it. 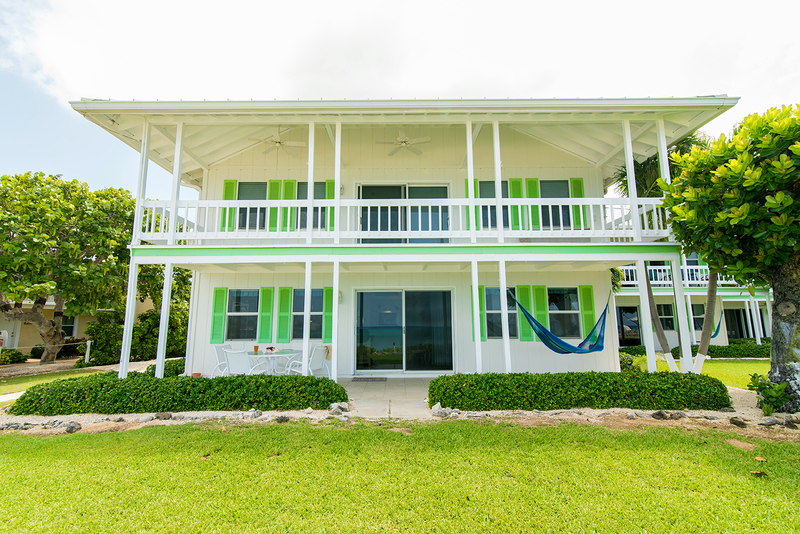 We felt like Cocoplum Number One was our "home away from home" and can't wait to return. It truly is a piece of paradise. came in sunday and unfortunately must leave tomorrow (friday). 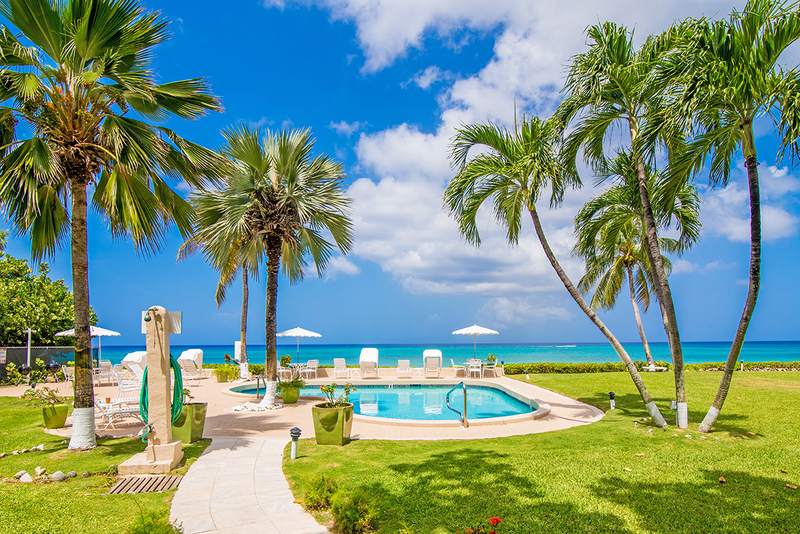 while the cocoplum complex is older, the grounds are clean and probably best location on ilsand for snorkelers and sunbathers. 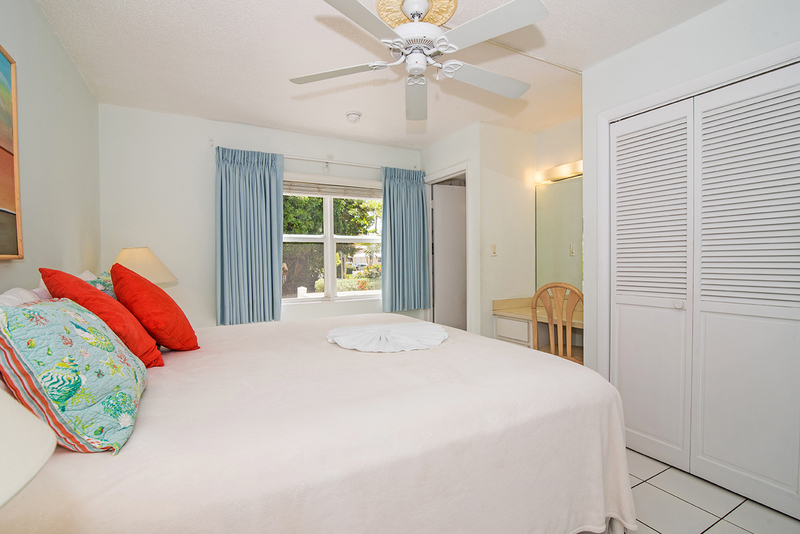 short cab ride from airport and easy walks to grocery store and several restaurants. did not rent a car. 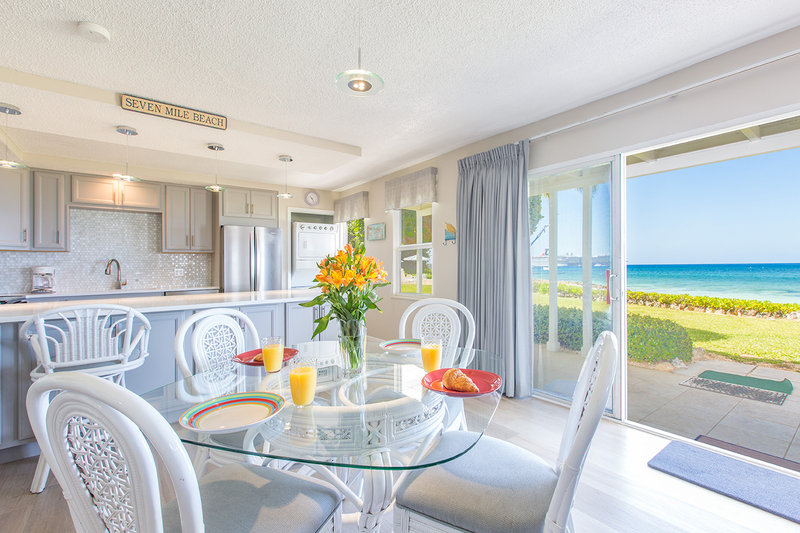 you can throw a rock into the ocean from the front patio and wonderful views from inside. while i took bus to snorkel cemetery reef and cab to eden rock (for comparison with pre hurricane destruction), there is truly great shallow water snorkeling just to the south of condo out front of wharf restuarant. now cocoplum #1. she is not the ritz carlton but neither are rates and you don't have the crowds. she is exceptionally clean, comfortable and well equipped. loads of nice bath linens and beach towels. though the unit is not large, she's well laid out and all the windows bring the outside in. 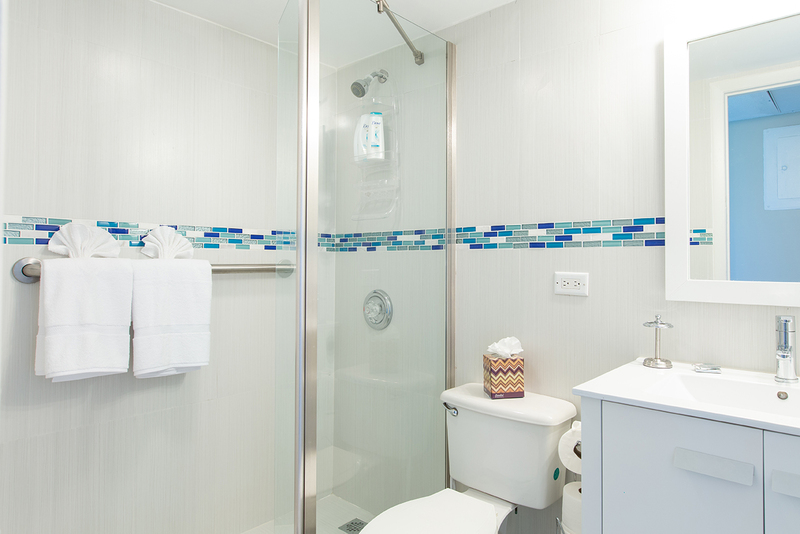 the only surprises were the pleasant kind.the vrbo website pics do not do the unit justice. we also enjoyed watching the cruise ships arrive in mornings and leave late afternoon. owner was very responsive to my inquiries and easy to deal with. we will be back. 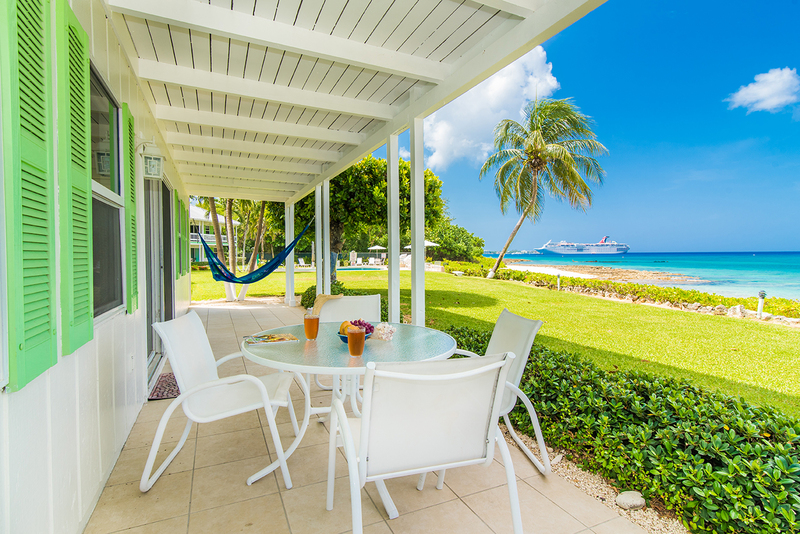 ★ ★ ★ ★ ★ Sat on this porch daily with our morning coffee (and dinner night at home). Steps from pristine, calm waters for easy snorkeling, include Gamma Wreck (to left about 3 complex\'s down). 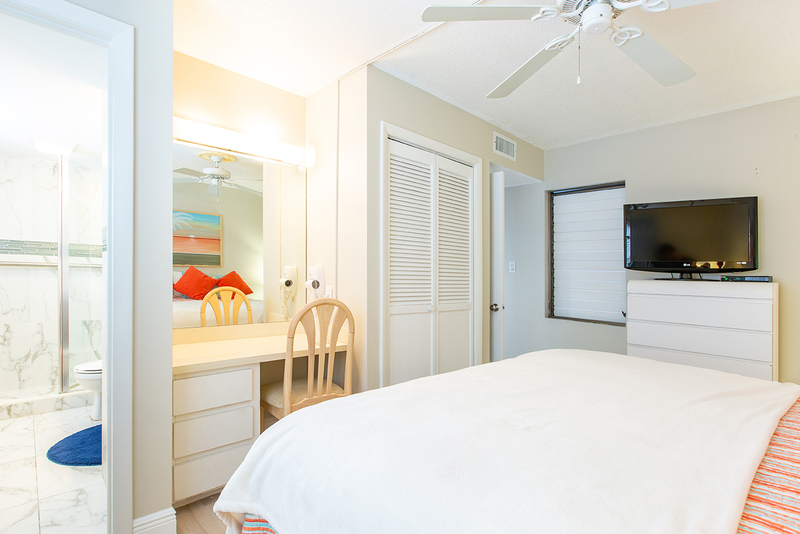 Our unit was clean, comfy with all amenities. Spacious for a couple. Family of four would be comfortable. The few children on property were never loud/screaming. No drunk partiers or loud music. Just sounds of waves and birds. Near all - walk to Kirk Market (good grocery store with excellent deli and salad bar.) and behind us in mall was Fidel Murphys (Irish pub) and XQ ( local lounge/good pizza and happy hour). Highly recommend.